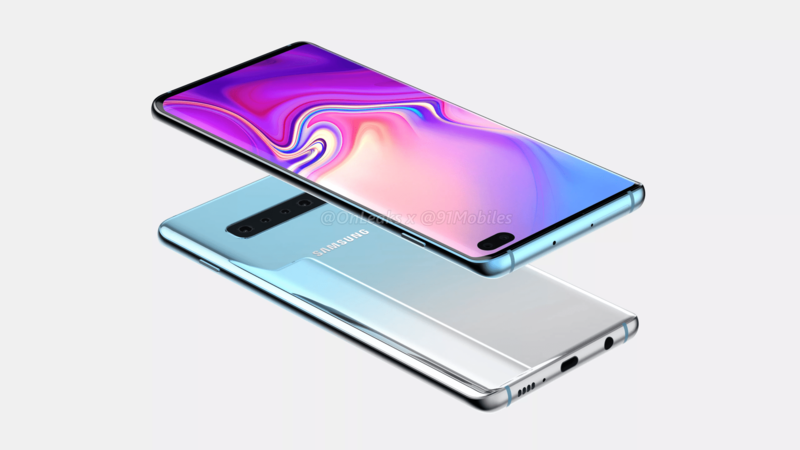 At the Mobile World Congress 2019 in February, Samsung is expected to launch its much-hyped Galaxy S10 series that is going to include the Galaxy S10 and Galaxy S10 Plus. Apart from these two, there are also reports of a mid-range Galaxy S10 and a high-end variant with 12GB RAM. 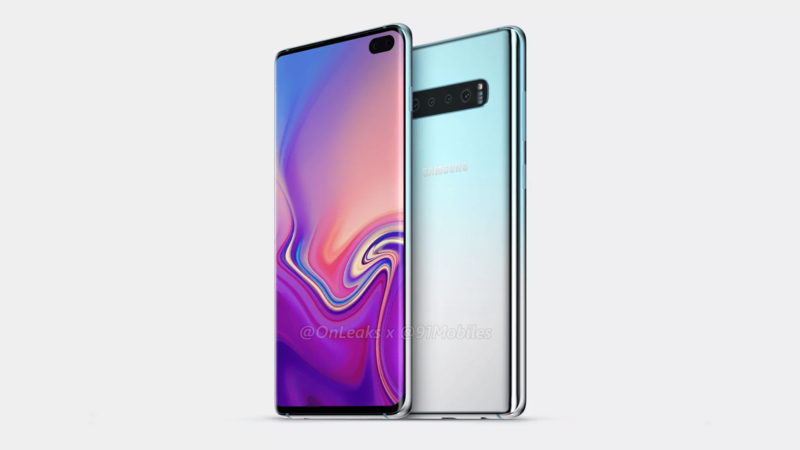 We already know that the S10 and S10 Plus will have a hole in the display for the front camera and today, the CAD Renders of the Samsung Galaxy S10 Plus revealed the unusual design of the phone that we are going to see next year. As always, these CAD renders are from Steve Hemmerstoffer aka OnLeaks. If you don’t like the notch, then get ready to see something that you may find even worse. 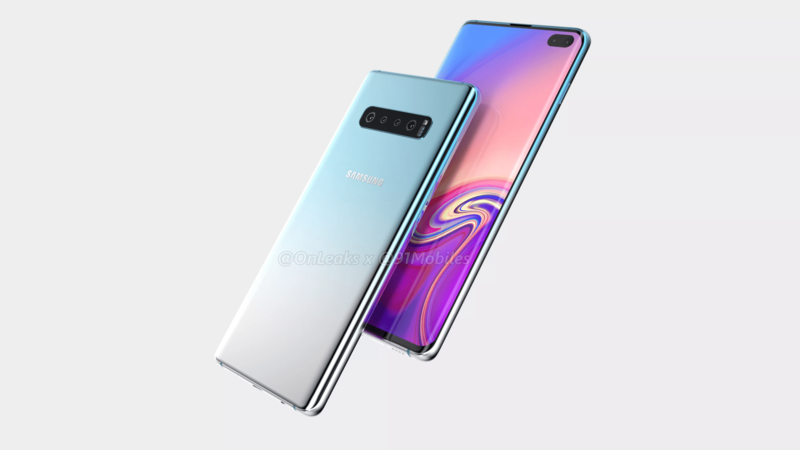 As shown in the render above, the Samsung Galaxy S10 Plus has dual cameras on the front that are placed in a dedicated setup inside the display. So, there is a cutout in the screen that houses these two cameras. We were expecting an edge-to-edge design from Samsung with a hole in the screen for the front camera, but it looks like the bezels are still there. Perhaps the best thing to know is that the 3.5mm headphone jack is still there on the phone. So, Samsung is in no mood to say Goodbye to the beloved headphone jack anytime soon in the future. The USB Type-C port is also placed on the bottom with the speaker grill. The phone has a glass and metal design that we have seen on all the Samsung flagships launched in the past couple of years. The SIM Card tray is placed on the top, and the phone still has a dedicated Bixby button on the left. It is confirmed that Samsung Galaxy S10 Plus has a 6.4-inch Quad-HD+ display that is curved on both sides. So, with thinner bezels than the Galaxy Note 9 and the same screen size, the Galaxy S10 Plus is going to have a smaller form factor. 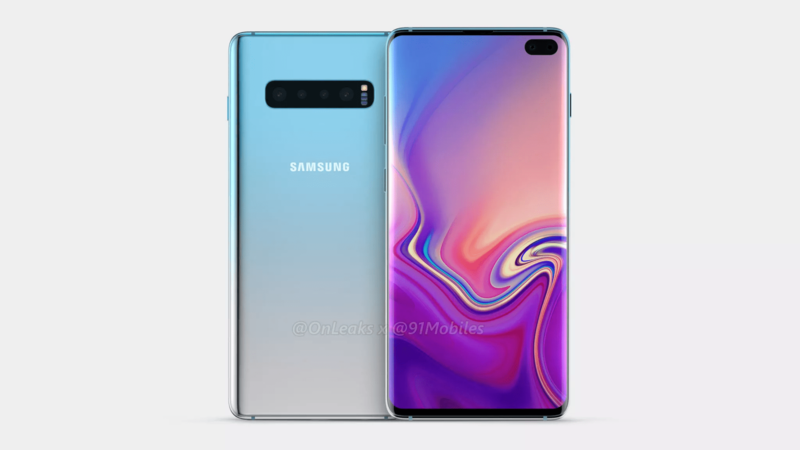 The dimensions of the phone are 157.5 x 75.0 x 7.8mm which, compared to the dimensions of Note 9 (161.9 x 76.4 x 8.8 mm) make it a smaller device in size than the Note 9. It is also confirmed that the Samsung Galaxy S10+ has an in-screen fingerprint scanner and as per various sources, this is going to be an ultrasonic fingerprint reader, which is faster than the optical one. Finally, it looks like Samsung is ditching the Iris Scanning feature. So, what are your views on the design of Galaxy S10+? Do let us know via the comments section.